One of the questions I am asked most frequently in my global travels is what will be the cause of the next financial crisis. This question is asked by those who understand that this crisis is coming but want to pin down the date or a specific turn of events that will help them know when to react. My answer is always the same: We can be certain the crisis is coming and can estimate its magnitude, but no one knows exactly when it will happen or what the specific catalyst will be. The second part of my answer is to prepare for the crisis now. When it happens, it could unfold very quickly. If you’ve been paying attention to the stock market lately, you know how quickly selling fever can spread once it starts. Just look at these past two days alone. We’ve had multiple days since October when the Dow loses several hundred points, with the other major indexes posting similar losses on a percentage basis. There may not be time or opportunity in the middle of the crisis to take defensive measures. That’s why I keep reminding my readers that the time to prepare by increasing allocations to cash and gold is now. With that said, it is useful to consider the most likely flash points for the next crisis and to monitor events as a way to improve one’s chances of seeing a crisis at the early stages. In yesterday’s Daily Reckoning, I made the case that the next crisis could begin in the junk bond market. But there are a number of other possibilities. You recall that the financial panic of 2008 actually started in 2007 with massive loan losses in subprime mortgages. Those losses caused certain hedge funds and money market funds to close their doors. Investors scrambled for liquidity to cover their mortgage loan losses. This led them to sell equities, bonds and gold to raise cash to meet margin calls. The panic was subdued in late 2007 but came back to life in 2008 with the collapse of Bear Stearns, Lehman Bros., AIG and others. The Fed and Treasury intervened to provide guarantees and liquidity, but not before everyday investors saw half their net worth wiped out. The crisis was not confined to the U.S., but spread worldwide to Europe, China and Japan. Now a new loan loss crisis is unfolding. The new crisis is not in mortgages but in student loans. Total student loans today at $1.6 trillion are larger than the amount of junk mortgages in late 2007 of about $1.0 trillion. Default rates on student loans are already higher than mortgage default rates in 2007. This time the loan losses are falling not on the banks and hedge funds but on the Treasury itself because of government guarantees. Not only are student loan defaults soaring, but household debt has hit another all-time high. Student loans and household debt are just the tip of the debt iceberg that also includes junk bonds (again, as I explained yesterday), corporate debt and even sovereign debt, all at or near record highs around the world. Meanwhile, the trade war remains a great risk to markets. When the trade wars erupted in early 2018 I said that the trade wars would be long-lasting and difficult to resolve and would have significant negative economic impacts. Wall Street took the opposite view and estimated that the trade war threats were mostly for show, the impact would be minimal and that Trump and China’s President Xi Jinping would resolve their differences quickly. As usual, Wall Street was wrong. Trump’s top trade adviser Peter Navarro recently delivered a speech making it clear the trade wars will not be resolved soon. He also tells Wall Street to “get out” of the policy process. Navarro warns that prominent Americans such as Hank Paulson, former secretary of the Treasury, and Blackstone chief Stephen Schwarzman may be acting as “unregistered foreign agents” as a result of their lobbying activities on behalf of China. This could subject these principals to criminal prosecution. Investors should expect lower earnings per share from Apple, Sony and entertainment companies dependent on the Chinese market or Chinese manufacturing to make their profits. Companies such as Caterpillar are also caught in the crossfire. Get ready for a long and costly trade war. It has already started and won’t be over soon. But I’ve been warning for months about an even more disturbing possibility: that currency wars and trade wars can easily spill over into shooting wars. This happened in the 1930s and it seems to be happening again. One of the most dangerous hot spots in the world today is the South China Sea. There are six countries with recognized claims to parts of the South China Sea. Yet China itself claims the entire sea except for small coastal strips and claims all of the oil, natural gas and fish that can be taken from the sea. China has ignored international tribunal rulings against it. The U.S. is backing up the other national claims including those of the Philippines, which is a treaty ally of the U.S. China has built small reefs into large artificial islands with airstrips and sea bases to support its claims. The U.S. has increased naval vessels in the area to enforce rights of passage and the equitable sharing of resources. Both sides are escalating and the risk of a shooting war or even an accident at sea is increasing. The South China Sea is mostly out of the headlines at the moment, but it bears watching as a possible catalyst for the next international crisis with global financial implications. Warnings of economic collapse are no longer confined to the fringes of economic analysis but are now coming from major financial institutions and prominent economists, academics and wealth managers. 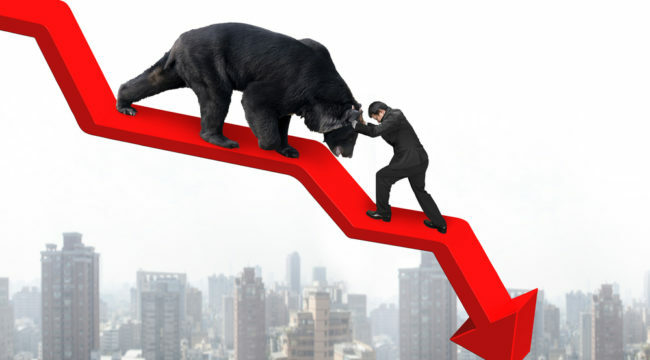 Leading financial elites have been warning of coming collapses and dangers. These warnings range from the IMF’s Christine Lagarde, Bridgewater’s Ray Dalio, the Bank for International Settlements (known as the “central banker’s central bank”) and many other highly regarded sources. Just when we think we’ve seen enough of these, another one arrives. This time it’s the legendary Paul Tudor Jones, who manages Tudor Investment. I’ve met Jones; he’s a cerebral yet polite and mild-mannered manager from Tennessee who has not lost his Southern accent despite decades in Connecticut and an estate on Maryland’s Eastern Shore. What gives Jones’ voice added authority is his longevity in the fund investment world. He’s managed through the 1987 stock crash, the 1994 Mexican crisis, the 1998 Long Term Capital meltdown, the 2000 dot-com crash and, of course, the 2008 financial panic. Jones knows that panics happen, but he also knows they don’t happen all the time. Panics take years to build and usually have specific triggers (even though endpoints can spin wildly out of control). Jones does not treat the possibility of a financial crisis lightly, so his warning deserves close consideration. Jones warns that the next crisis is likely to be triggered by excessive debt, specifically corporate debt, which can be more difficult to manage or bail out than sovereign debt. At the same time, other gurus are warning that the next panic will emerge from the foreign exchange market, overvalued equities or commercial real estate. Perhaps the real message is that all of these areas are vulnerable and the next crisis will seem to come from everywhere at once. That’s the danger. We’re looking at another debt crisis and global financial panic. Only this time it won’t come from mortgages alone but from all directions at once. So let me repeat what I said earlier: the time to prepare by increasing allocations to cash and gold is now.